Several of us have experienced an ankle sprain to some degree in our lives. Some, more often than others. In the game of basketball, the ankle sprain injury is one of the most common types of injury. The two most common types of ankle sprains are the inversion and eversion sprains. Inversion sprains are more common, but the eversion sprains are usually more severe. An Inversion sprain is when the ankle is manipulated or “rolled” medially or “inwards towards the body”. The eversion sprain is the opposite of inversion – the ankle is “rolled” laterally or “outwards, away from the body”. Ankle sprains can be classified by mild, moderate, or severe. might show some signs of swelling. signs of swelling and/or bruising. The ankle joint is made up of three bones: the medial malleolus which is part of the tibia, the lateral malleolus which is part of the fibula, and the talus. Several tendons run along the ankle joint. The common tendons which may be injured as a result of an ankle sprain are the peroneus longus/brevis and tibialis anterior/posterior. 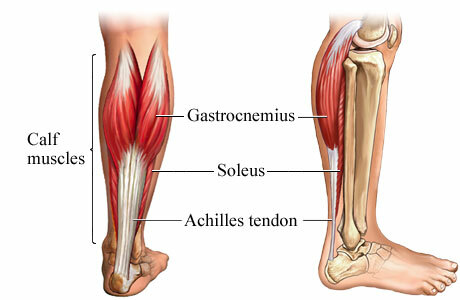 In some severe cases the achilles tendon may be ruptured or injured. Several ligaments can be injured in the ankle joint, but the most common ligaments injured in an inversion sprain is the anterior talofibular and calcaneofibular ligaments. is the injured person able to walk 4 steps, even if its a limp. severe bruising and/or swelling around the ankle joint especially the back of the ankle where the achille tendon is located. any pain along the sides of the leg or the calf area. If any of the above symptoms or signs are present please seek emergency or professional consultation as soon as possible as there may be a fracture, contusion, and nerve damage. As this may require surgical repair or casting / bracing by a medical professional. If there aren’t any of the above symptoms then conservative care at home and by a chiropractor can be taken. Protect the injured area. Avoid any contact by other objects. A mild brace may be used. Rest the injured area. Avoid excessive walking and/or running. Lie down on the bed or rest the foot on a foot stool, etc. Ice the injured area. Applying ice for 15 minutes as needed with 60 minutes intervals to help reduce the initial inflammation/swelling/bruising of the ankle joint. Compress the injured area. Using a brace or supportive tape. Elevate the injured area. This allows the drainage of the swelling/bruising of the ankle. NSAIDs or Advil may be taken under supervision / direction of the medical doctor to reduce initial stages of inflammation and pain. Scar removal using Active Release Technique®. As scarring around the ankle joint may decrease future range of motion, and might predispose the ankle to future recurrent sprains. Adjustment of the ankle joint to break away scar tissue and realigning the ankle structure. Many patients with shoulder pain are told have surgery, get steroid shots, or take anti-inflammatory drugs to relieve the pain. Unfortunately, these treatments do not always work to reliably reduce symptoms, particularly in patients with frozen shoulder syndrome. Frozen shoulder syndrome is characterized by night pain and painful restriction of shoulder movement during rotation and abduction. Only 2-5% of the general population has FSS, but rates are higher among people with Parkinson’s disease, cardiovascular disease, thyroid disease, and stroke; in fact, up to 40% of patients with diabetes suffer from FSS. Finding an effective way to relieve FSS remains a challenge since many patients say they still experience symptoms for several years after their initial medical treatment. A recent study suggests that chiropractic treatment may provide better relief for persistent FSS. The study included 50 patients with FSS between the ages of 40-70 years old. Patients were treated with a high-velocity, low-amplitude thrust that seeks to correct dysfunction of occipitoatlantal articulation (C0-C1 chiropractic subluxation). After an average treatment time of 28 days, the majority of patients had substantial improvements in shoulder adduction and pain. The median average patient had their pain score drop from a nine out of ten to a two out of ten, resulting in a median 78% improvement in pain. Additionally, researchers evaluated the patients’ shoulder function by measuring their degree of shoulder adduction. Sixteen patients had regained completely normal shoulder adduction; 25 patients had 75-90% improvement in shoulder adduction; and eight showed a 50-75% improvement. “The results of this case series are encouraging in that many of these patients’ complaints seemed to improve or resolve within 1 month of presentation, whereas, in general, it is thought that FSS symptoms can persist for 2 years or more,” the researchers wrote. Although large-scale studies are needed to test these results, the findings suggest that chiropractic adjustment can provide effective relief of FSS. The knee is a very complex structure of our body leading to a lot of pain after increase exercise or motions. This is due to the fact that not every individual train their knees properly which can lead to problems even with everyday activities. As we age our knees become weak and/or tight over time, therefore, even simple activities as running or walking in the park can lead to discomfort and long term chronic knee issues. Certain parts of the knee is strain and other parts of the knee must over compensate leading to unbalance muscle groups in the knee. When this happen several treatment options and rehabilitation exercises are available. First lets describe the basic anatomy of the knee. The knee is made up of 4 major bones: the femur, tibia, fibula, and the patella. 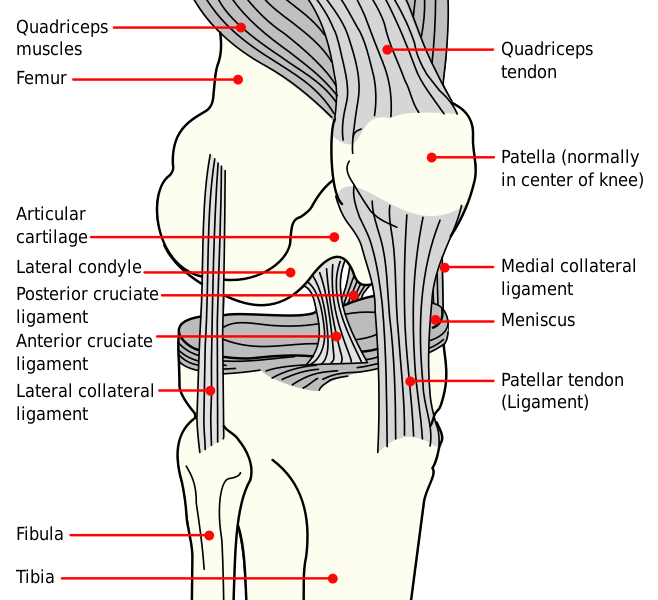 There are four major ligaments the hold up the knee: medial collateral ligament, lateral collateral ligament, anterior cruciate ligament, and posterior cruciate ligament. Several muscles surrounds the knee. The major ones consists of the quadriceps femoris, hamstrings, and calf muscles. The anterior portion of the knee is made up of the quadriceps femoris muscle. 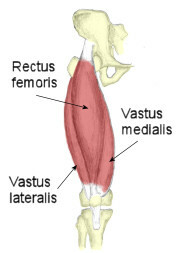 This group of muscles comprise of 4 individual muscles consisting of the rectus femoris which is the middle portion of the thigh, the vastus medialis which is the inner portion of the thigh, vastus lateralis which is the outer portion of the thigh, and the vastus intermedius which is the portion underneath the rectus femoris. The posterior thigh of the knee is made up of the hamstring muscle group. 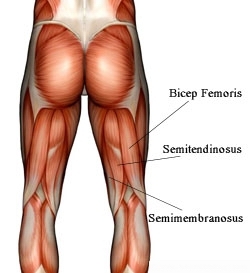 This group of muscles comprise of 4 individual muscles as well: biceps femoris long/short head, semitendonosis, and semimembranosus. Lastly the calf muscles which forms the lower posterior portion of the knee consisting of mainly the gastrocnemius and the soleus. In some more serious cases the ligaments of the knee are partially torn or fully torn, in this case medical consultation or surgery are required. After re evaluation and/or surgery conservative care with chiropractic treatments can be rendered. In the older population cartilage in the knee may deteriorate and decrease. When this happens surgery may be need, but conservative chiropractic care may be used at first as well. Proper supplementation of glucosamine sulfate may also be used.